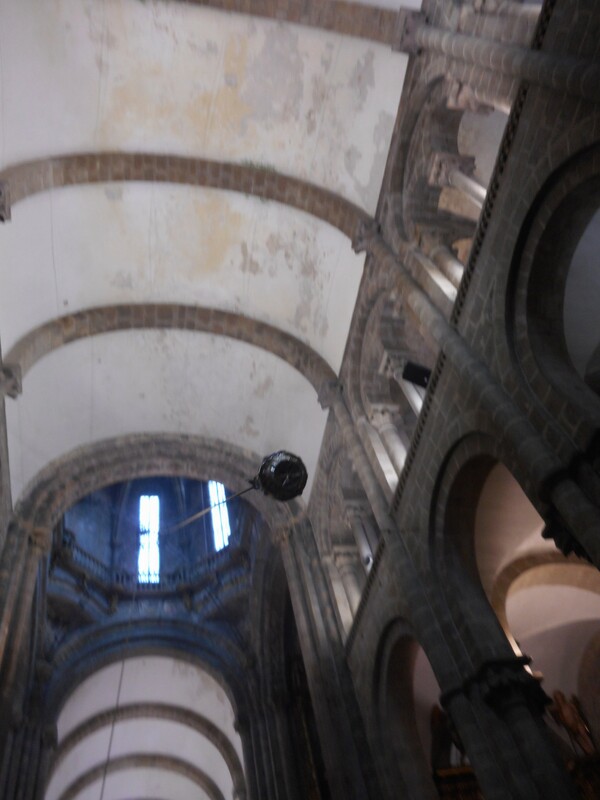 While in the cathedral we took the time to mount a stairway behind the main altar and embrace the golden statue of St. James which overlooks the church proper. 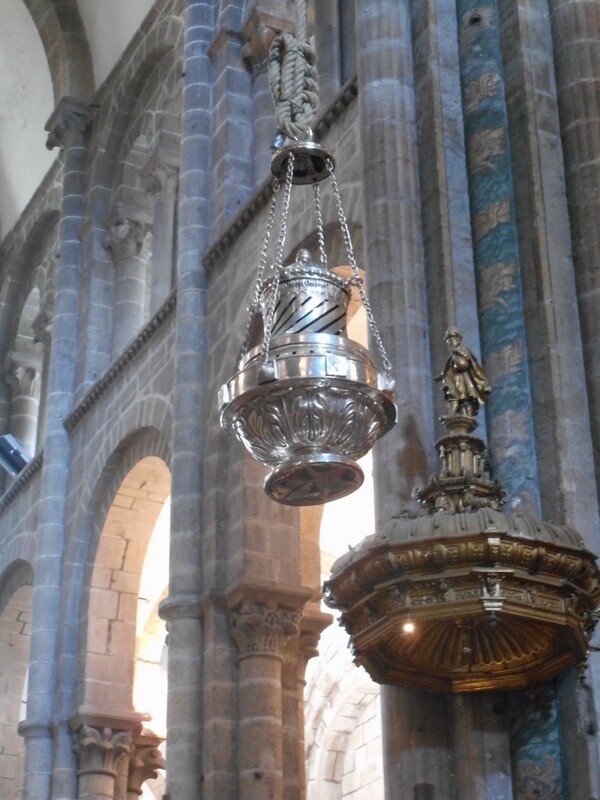 Then we descended into a crypt underneath the altar to see the ornate silver casket where the remains of the apostle reside. It was a very meaningful and spiritual moment to be in the presence of one of Christ’s apostles and the personage who was the focus of this entire pilgrimage. 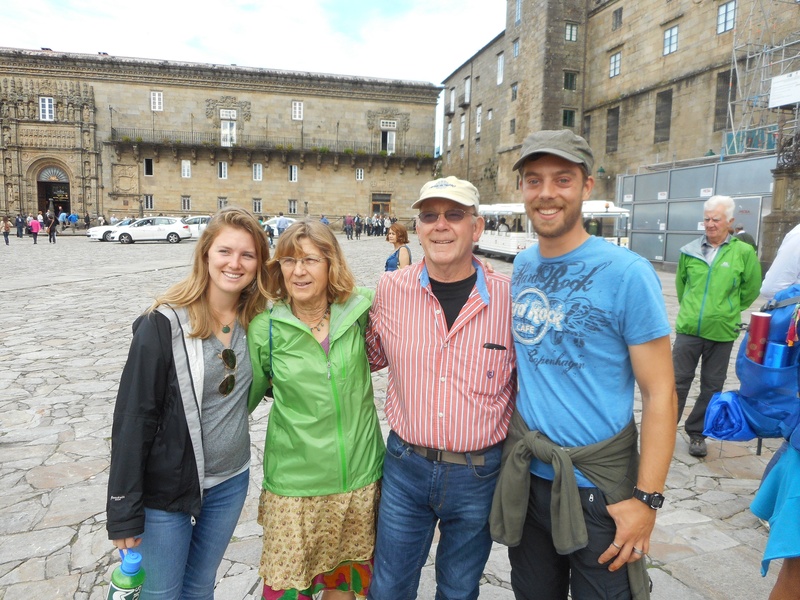 Clint and I along with Kate and Tom from Cincinnati along with others pictured above. 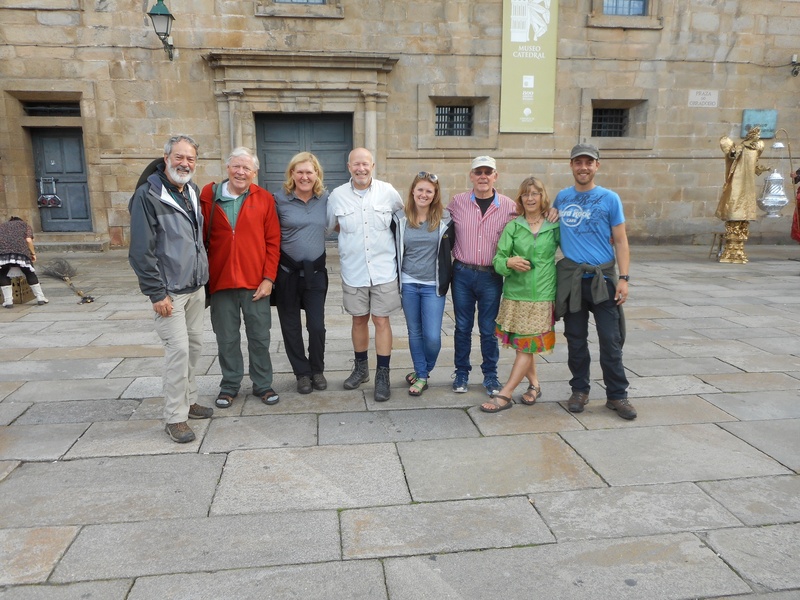 Later we visited the Pilgrim Welcome Office and received our Compostela document – in Latin and suitable for framing – documenting the official completion of our pilgrimage. 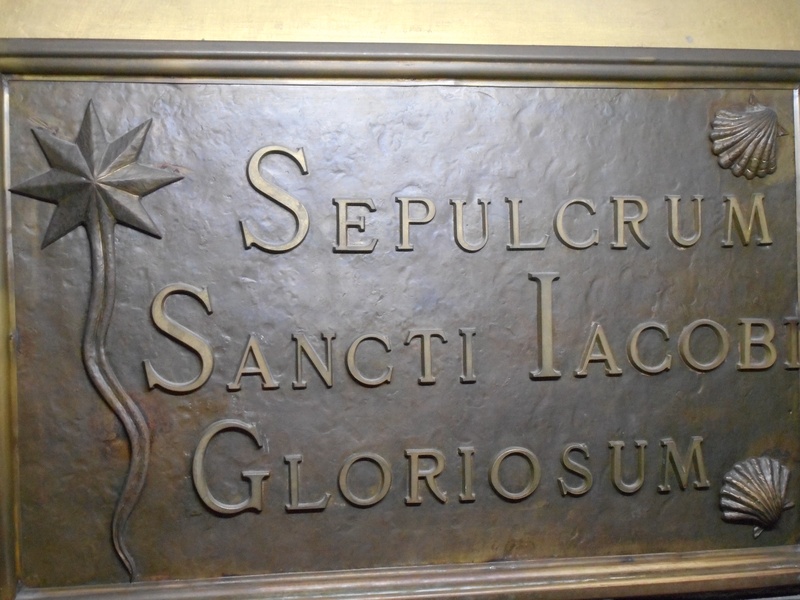 By coincidence, the Franciscans, who are celebrating the 800th anniversary of their order, were also issuing a special compostela at their nearby convent and church. So, we visited their beautiful church and received this document as well. 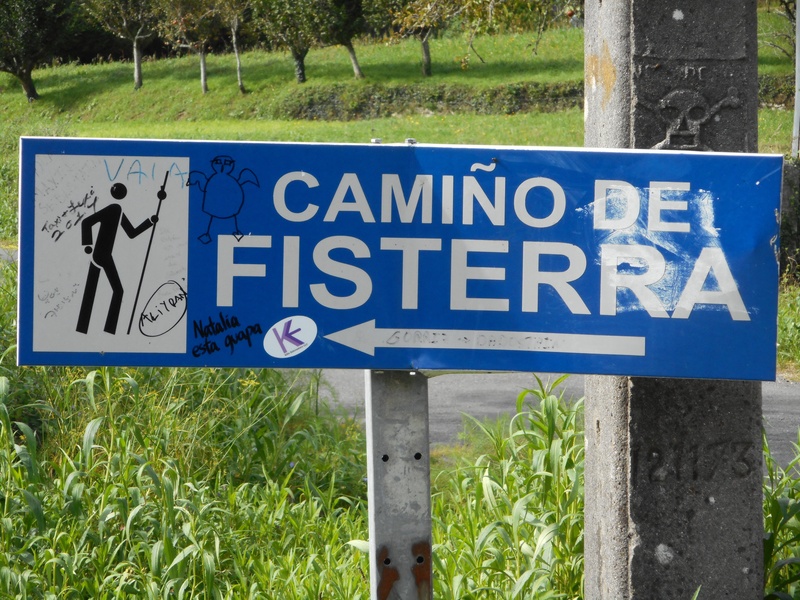 Tomorrow we will begin a newer, and much shorter, extension to our pilgrimage as we head for Finisterre – the "end of the earth." We will be hiking for about 3 or 4 days and will arrive at the spot that medieval people thought was the very end of the earth. 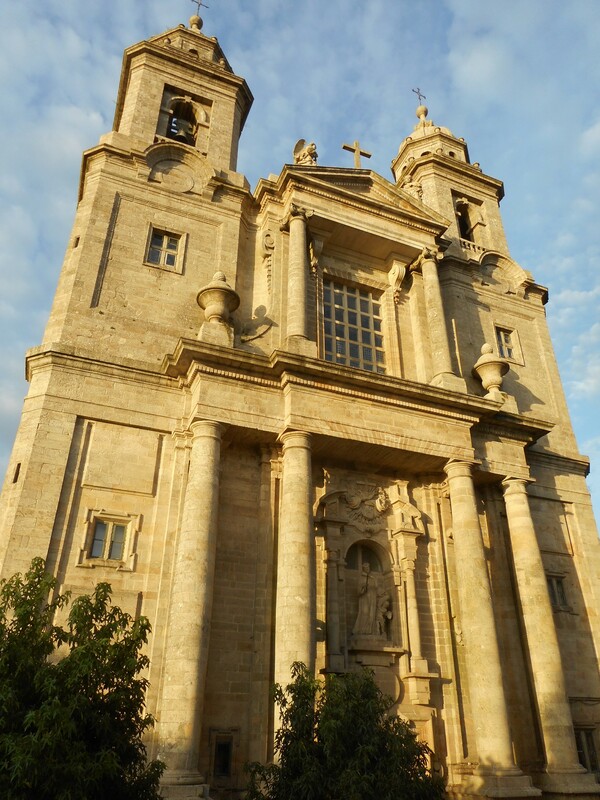 It is the westernmost point on the Iberian peninsula. 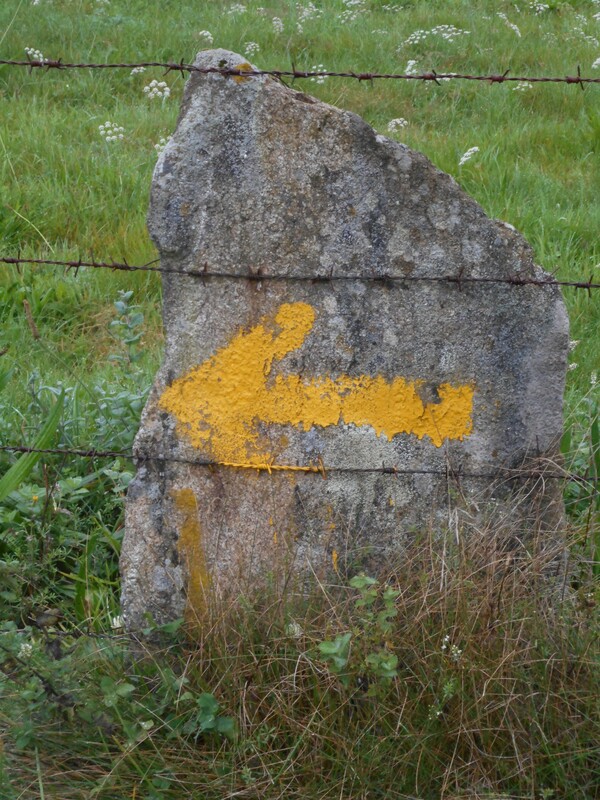 The trail traverses a mountain range before descending to the sea coast leading into Finisterre. It is reportedly a very beautiful place and we are looking forward to seeing it in person in a few days. 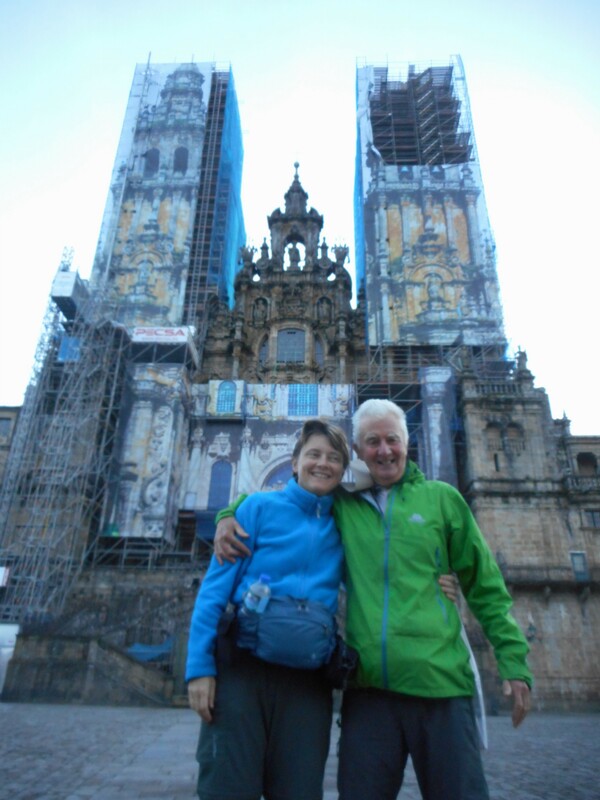 Congratulations to you & Clint on completing your pilgrimage to Santiago! I am quite jealous and hope to do so myself some day. 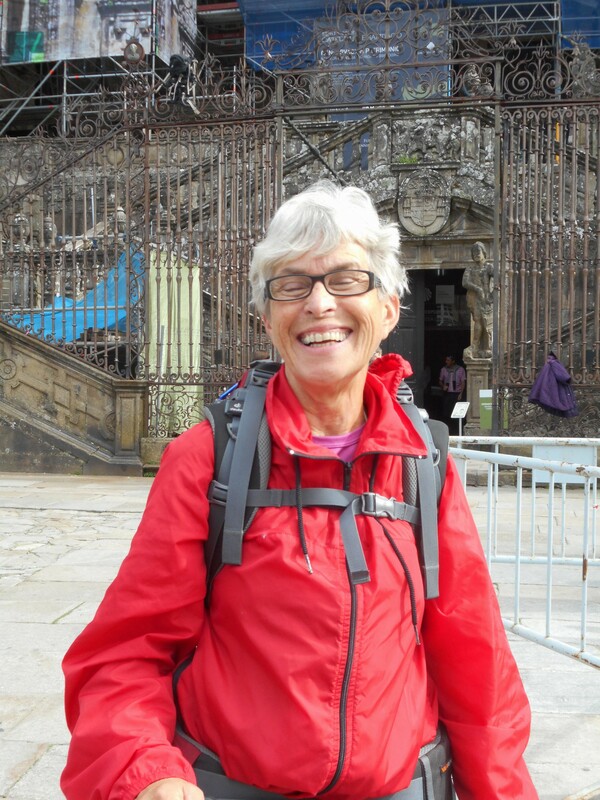 I have so enjoyed reading your blog and it has inspired me to start my own blog about my Camino experiences.